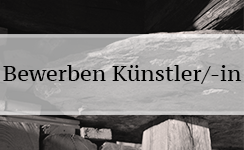 Thank you for your interest in wanting to apply for a residency with the association artbellwald.ch. You can apply from September 1 to October 31, 2019 for the year 2021. Please fill in the form completely (biography, career as an artist, portfolio, project description for your stay in Bellwald and motivation for Bellwald) in PDF format. In addition, please send one complete set of the application (A4 format; CDs, books, publications, etc.) by post until November 30th (postmark) to the association artbellwald.ch, P.O. Box 29, 3997 Bellwald, Switzerland. Your application is only valid after artbellwald.ch received the hard-copy of your complete application. More details under ‘Application details‘. This is an application form without signature. A written contract between the applicant and the association artbellwald.ch will be issued prior to the beginning of the stay once the scholarship has been granted.